A new report by App Annie – Spotlight on Consumer App Usage – takes a look at mobile user engagement in ten major markets and unveils some new insights.Used by 94 of the top 100 publishers across the globe, App Annie helps compile market data including downloads, revenues, demographics, and usage estimates offering app data and insights for businesses. 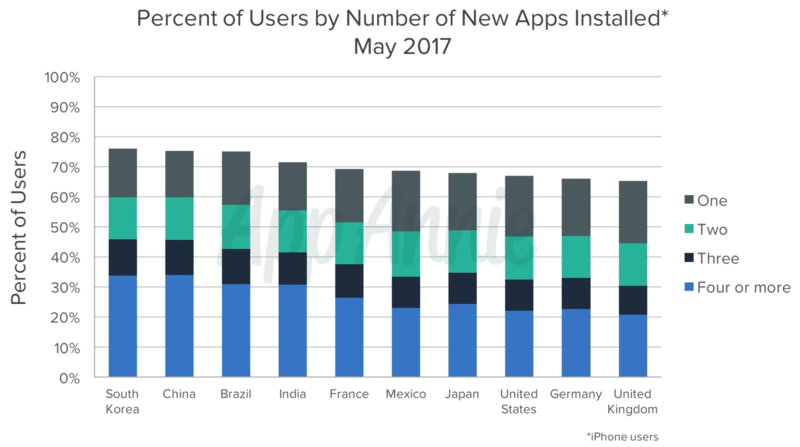 According to the report, users continue to download apps at a high rate and in all the countries analyzed, over 65% of users installed at least one app in the month of May this year. In half of the countries, over half of all users installed two or more apps. Essentially, people are always looking for new apps to explore or adopt new use cases into their lifestyle. 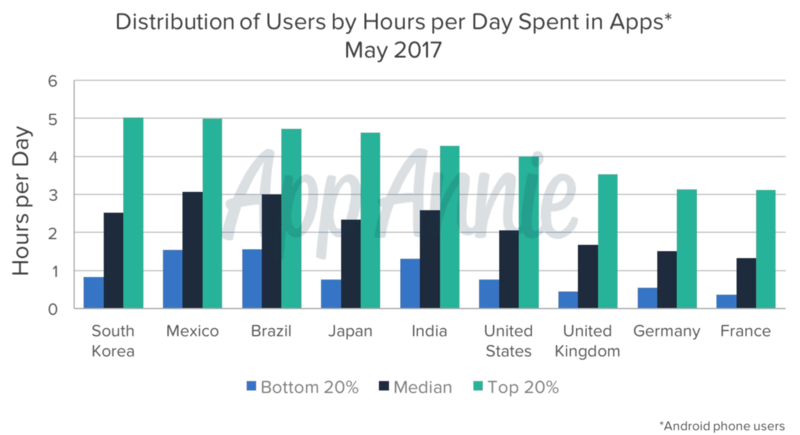 In South Korea, Mexico, Brazil, Japan, and India, the top 20% of smartphone users spent over four hours per day in apps. However, thanks to widespread adoption of apps such as WhatsApp and Facebook and an emerging mobile-first lifestyle, there’s a strong adoption of apps even for the least-avid users in emerging markets like Mexico, Brazil, and India which had the highest time for users at the median and at the bottom 20%. 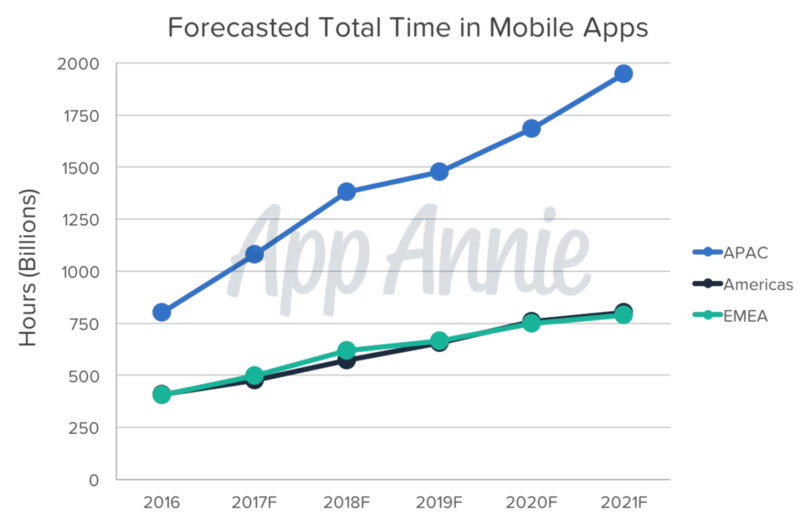 The report claims that the total time spent in mobile apps is expected to exceed 3.5 trillion hours in 2021, and the exploding install bases in emerging markets will play a major part in this trend.